What did the Initial Universe Consist of? Welcome to the fourth special Issue of the SHAPE Journal. The large paper entitled The Origin was intended merely as an introduction itself for a forthcoming Special Issue on the Big Bang, but, as they say, it grew like Topsy and greatly exceeded my original intentions. And, as it developed, it became clear that it could not do its job without (in addition) a whole series of supporting diagrams and illustrative images, so it soon became enormous. Yet it is certainly not a complete story, or a theory, or much like our other Special Issues! It is still only an introduction, and therefore suffers from the nature of all such preliminary and necessarily superficial presentations. It almost nowhere proves all its made points - that would be the job of the following series of papers, which had gradually produced a viable alternative view of the Origins of the Universe. So, it should not be judged too harshly by its readers. 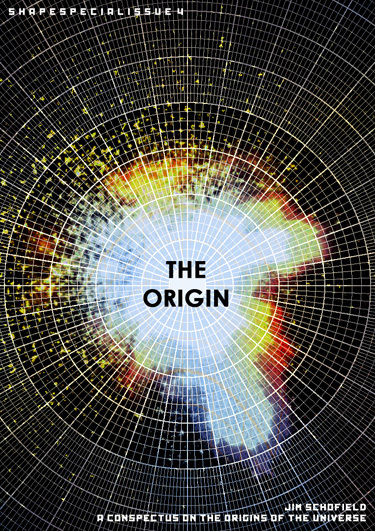 The Origin is meant to encourage all to read the following detailed individual papers with an idea of where they are going, and much more in-depth and well-argued areas, which make up a fully reasoned case. For example The Theory of Emergences (Special Issue 1) is a foundation without which not much sense could be made of the deliberations which followed it. So, if the reader is dissatisfied with this "pot-boiler", let them read the increasing number of Special Issues of this journal already produced, or in preparation for imminent publication by Shape. And if you disagree with these ideas, why not submit your alternatives? They will be published with responses by the author, as that is the pupose of this Journal.